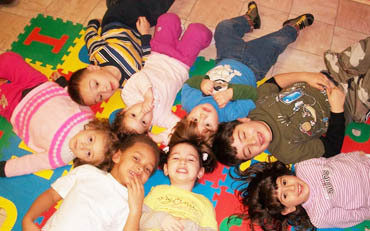 If you are looking for a safe and happy place for your child then come in for a visit. We have two Group Family Day Care programs that you can visit and explore.We care for children 3 months and up to 5 years of age. 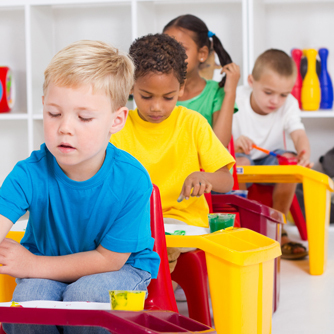 Our goal is to provide a fun and safe learning environment, while encouraging social, emotional and physical development. 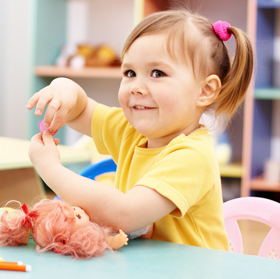 Each child receives quality care in a warm loving environment with lots of affection. 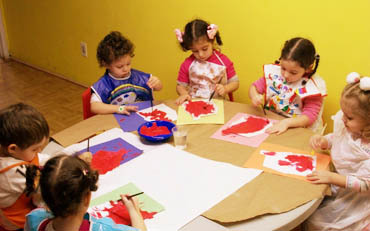 We take pride in providing a safe, clean, friendly and colorful environment for all our kids. Our goal is to make each one of our kids feel as safe, comfortable and as loved as if they were in their own home. We keep the children entertained and active throughout the day, with games and crafts meant to delight and educate, all at the same time! Our wonderful staff works diligently to keep our activities fresh so that our kids are never bored. No childhood is complete without parties! We make sure to celebrate all birthdays and Holidays with music, fun games, and crafts! Both our programs are located on the same property and each are licensed by the State of New York. Each center has no more than 12 full time registered children with two full-time and one part-time care giver in each program at all times. Our ratio of infants to care giver is two to one. 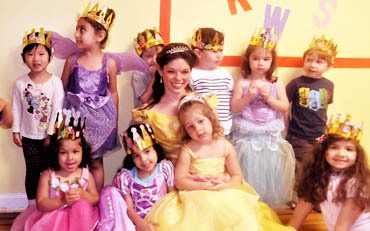 Our programs meets and exceeds all the requirements established by the state of New York. Caring for our children is of the utmost importance to us. We do not take your trust lightly and work hard to ensure that we will meet and exceed your expectations as well.